Somehow, in the process of growing up and having responsibilities, adults forget what it's really like to be a child. They forget the leisure, of taking a book into a field in the morning and only wandering back home when hungry or it gets dark out. They forget what it's like to have people tell you what to do, with arbitrary reasons that you're not allowed to question. They forget the discomfort of knowing that a situation isn't okay, but not having enough experience to know why it's wrong, or the experience to know what to do about it. Neil Gaiman never forgot. And by not forgetting, he's written the truest young characters in The Ocean at the End of the Lane. The book starts out with the narrator coming back to where he grew up for a funeral. He's dressed in the proper clothes, says the proper things, and takes a certain comfort in knowing what he's supposed to do and say during a difficult time. As he drives from the funeral to the cemetery, he has a bit of time to himself, and finds his car pointing towards where he once lives. The fields and small homes have been replaced with housing estates, the flint-strewn country lane with tarmac. His childhood home is long gone, and the home of his adolescence isn't what has brought him back here. As he rolls his car along, the road regresses to the lane of his childhood, and eventually to a footpath. He gets out, and walks up to a house he hasn't thought of in too long, and slides sideways into memories of his seventh year. As with most Gaiman tales, to lay out the story before reading it is to take away some of the magic. It's not an easy read, because childhood isn't easy. There's monsters, and some of them are the adults he's supposed to be able to trust. There's heroes, even if they wouldn't call themselves that. There's bravery and fear, sometimes at the same time, and there's sacrifice. 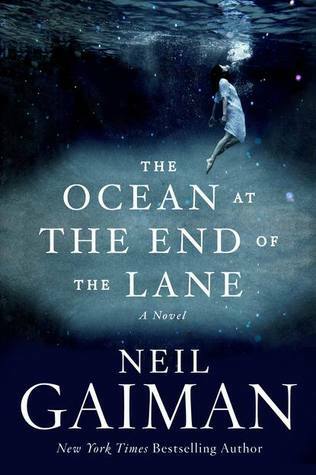 There's the magic that Gaiman brings to his tales, which transcends description.